Long time no see? MyPhone has teased a new smartphone – the MyPhone myX8, which will sport an 18:9 display. 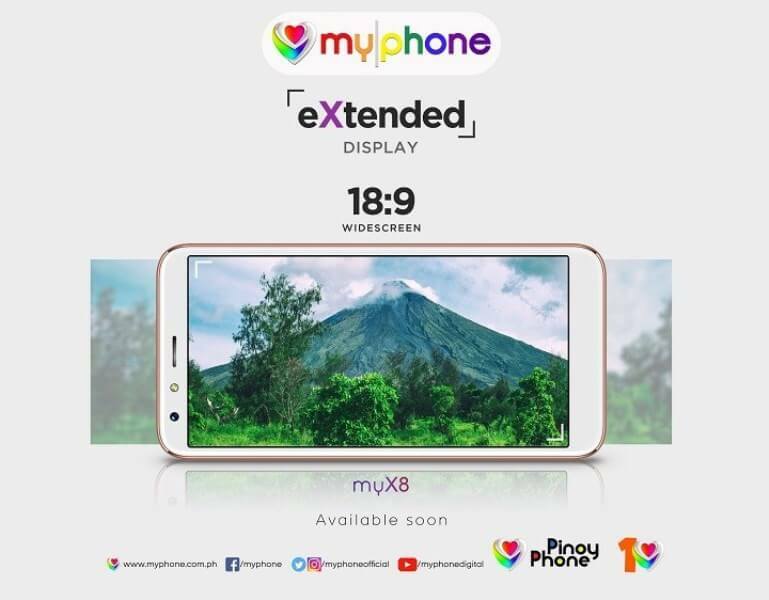 Its teaser photo shows an “eXtended Display” text, revealing that the myX8 will flaunt an 18:9 screen aspect ratio. Its front camera, LED flash, and earpiece are located above the panel. Meanwhile, the device might sport an on-screen navigation keys. The photo also teases that the handset will be available soon. There are no words yet about its other specs and features. However, rumors suggest that it will run Android 8.1 Oreo operating system, and will pack a MediaTek chipset. We’ll update you with more details as soon as the myX8 officially launches. So, stay tuned!